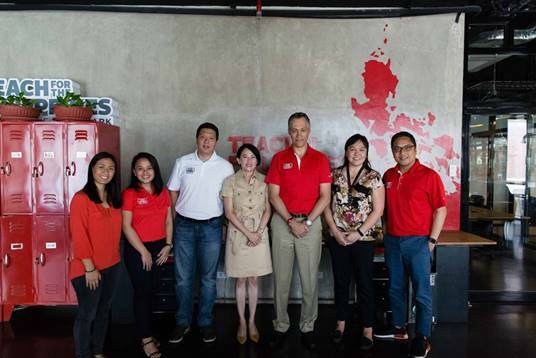 The Coca-Cola FEMSA Team, led by Jose Ramon De Jesus Martinez Alonso, poses with the Teach for the Philippines team, led by Margarita Delgado. Manila, Philippines – Coca-Cola FEMSA (KOF) corporate affairs director Jose Ramon De Jesus Martinez Alonzo recently, made his first visit to the Philippines on official business. One advocacy took center stage in his itinerary— sustainability, which he believes is an integral aspect in KOF’s shared journey with the communities in which they operate. 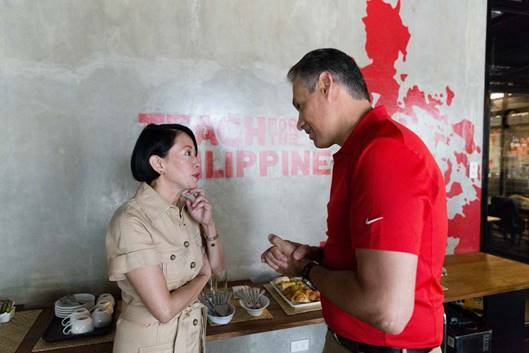 Martinez met with Coca-Cola FEMSA’s partners in implementing the Coordinates for Life (CFL) program, Teach for the Philippines (TFP), an NGO whose vision is to provide children with access to relevant and excellent education. CFL is an education program originally launched by Coca-Cola FEMSA in Mexico, which seeks to go beyond academics, equipping children with values roadmaps that can help them develop maturity, discipline, and the ability to cope with the challenges of growing up. The program was launched in the Philippines in 2014, and will be implemented nationwide this year. Martinez speaks to Delgado in the Teach for the Philippines office. Martinez sat down with Margarita Delgado, TFP co-founder, to discuss their experiences with education, and both of them quickly acknowledged the need for a holistic education that prizes values and morals as much as it does on traditional academics. “TFP partnered with Coca-Cola FEMSA to implement CFL because we strongly believe that the program can help build in our students the resilience they need to face and overcome the challenges of poverty, which impede them from attaining opportunities for success,” she continued. Martinez’s trip to the Philippines also took him to Gat Andres Elementary School in Taguig City. The school is one of the primary beneficiaries of Fort Bonifacio Development Foundation’s Adopt A School Program. In line with its philosophy of helping improve education by looking beyond academics, KOF-PH, whose office is based in Bonifacio Global City, immediately agreed to sponsor the construction of the school’s guidance office and clinic. Martinez visited the school to inspect the donated facilities, and to meet and interact with some of the teachers and students. 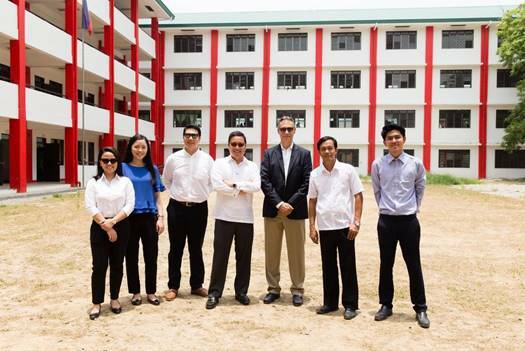 The Coca-Cola FEMSA Philippines team together with Principal Felix Alviar, as well as Jun San Juan of Fort Bonifacio Development Foundation in front of Gat Andres Elementary School. “The best part is, now that we have a clinic and a guidance office, the LGU has also assigned regular employees here. We have guidance counselors and dentists now, and soon, I think they’ll provide us with a dental chair,” said Alviar.